As a child growing up 150 kilometers outside the urban center of Malawi’s Mzimba District—a rural region characterized by illiteracy rates of about 62 percent—Beatrice Chisenga spent her evenings poring over her school books, lit by the soft glow of a heavily fumed kerosene lamp. Exhausted from fetching firewood, pounding maize, helping cook meals for her family, attending school and walking for hours to gather water, Beatrice hunched over the small table in the center of her family’s grass thatch-roofed home, her eyes heavy with sleep and her dusty feet firmly planted in a bucket of the day’s remaining water. Her mother knew her children’s only ticket to the city—an escape from the vicious cycle of African rural poverty—was education. By making her kids keep their feet soaking wet for long hours after the African sun slipped below the horizon, perhaps she could keep them awake long enough to study their way out of poverty. As it turns out, her mother was right. Nearly 40 years later, Beatrice lives in Manchester, UK, where she earned a PhD in Project Management from the University of Salford and now serves as the African Field Director for Christian humanitarian engineering nonprofit Design Outreach. Those long nights in the books, those buckets of water she walked miles to fetch and her unrelenting ambition were the catalyst for a life dedicated to bringing hope and change to her native land. In developing countries like Malawi, which is ranked the third poorest nation in the world according to the World Bank, education and access to clean water are intertwined. Without a safe water source near a village, attending school becomes impossible. To complicate the issue, many rural communities place the burden of domestic responsibility, including the long treks for water, entirely on the women and girls. In sub-Saharan Africa, Beatrice says, women often work 18 hours in a day. Beatrice knows this firsthand. Because her mother suffered from illness, Beatrice and her sister did all of their family’s household work, while her brother was excluded from such chores. “Our culture had set high expectations for a girl child in preparation for womanhood,” Beatrice says. “My mother used to state that she would like to ensure we are well-baked so as not to be ashamed should we fail to be educated and continue to live in the villages.” However, her mother ensured they worked hard in school as well. She remembers the exhaustion that swept over her those long nights spent under the light of a kerosene lamp, her feet soaking. She also remembers the faces of old friends who were not as fortunate as she was. Beatrice was the third of five children born to two primary school teachers. As early as five years old, she remembers walking up to four miles each day to gather water. As a teenager, she, like most women, became so skillful that she could balance a 20-liter bucket on her head. While her family moved from one place to another as her parents’ jobs dictated, finding water to drink was always a challenge. Whether it was an open well, the closest river or a borehole, it was a task that took hours, and the risk of water borne disease was an ever-present threat. One of the first drinking water sources she remembers was a river—the same river they washed their clothes and bathed in. Much of the river water closest to the bank was thick with mud and silt. Around 1975, Beatrice’s father was transferred to a new location, Kacheche, where she saw a borehole for the first time. As promising as it seemed, the borehole was located more than a mile from the village near an agricultural station, where the government trained farmers in crop and animal management. This was the same borehole used to water the chickens, pigs and cattle. Because the borehole seemed to be more trouble than it was worth, many in the village resorted yet again to water from the Kasito River, increasing vulnerability to deadly cholera and dysentery. Like the borehole near the agricultural station, many pumps do not reach far enough into the ground to provide a consistent flow, and dysfunctional pumps are a common problem that plagues rural communities in developing countries. Some estimate that a third of the world’s hand pumps are no longer functional, leaving remote villages like those Beatrice grew up in without a reliable source of clean water. While waiting for water robbed villagers of their time, contaminated water threatened to take their lives. In the late 1970s, shortly before her father passed away, Beatrice experienced her own brush with death. 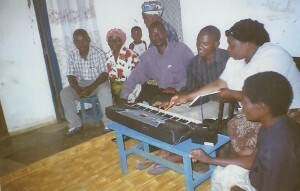 During this time, the Malawian government endorsed campaigns to educate local people about the importance of boiling water to combat dysentery and cholera. Despite the campaign efforts, Beatrice and her family succumbed to an outbreak of dysentery, a waterborne illness that ravished their small community. 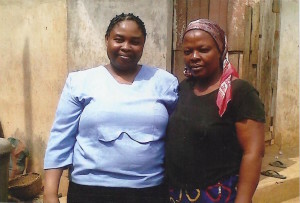 For Beatrice, the disease induced months of enervating illness that almost took her life. Even after the initial diarrhea and vomiting subsided, the illness became chronic and was so debilitating that six months after its onset, Beatrice was still unable to take that year’s final exams. As her condition deteriorated, her parents began to contact close relations, who persuaded them to seek help from African doctors. Beatrice remembers being given porridge made of water soaked in tree roots as a last-ditch effort to save her. This, too, was fruitless. At that point, her uncle decided it was time to take her to the Mzuzu city mission hospital known as St John’s. After weeks in this hospital, the doctor determined that the dysentery Beatrice had contracted caused her to develop septicaemia, a serious infection-related complication characterized by systemic inflammation and poisoning of the blood, as well as malnutrition. Beatrice eventually recovered from the infection, but long-term effects have lingered. To this day, she is deaf in her right ear. Despite the waterborne disease that threatened to take her life, Beatrice always excelled in her studies. She and her friend Eliza, who are still close today, were the only girls to be selected by the government to attend secondary school education since their primary school opened two decades earlier at Euthini. The school was called Mary Mount Secondary School and was a reputable girls’ Catholic institution in Mzuzu, a city in northern Malawi. During her time there, her mother’s “harsh” methods of teaching her the importance of education and studying stuck with her. By this time, though, she didn’t need soaked feet to keep her alert. During her time at Mary Mount, she served as a senior student prefect and a leader of the student interdenominational Christian fellowship called Scripture Union. Right before her final exams, her mother passed away, leaving her an orphan. Though she had always dreamed of following in her parents’ footsteps, her grades did not qualify her to go on to get her teaching degree university. Instead, she was accepted into a university dedicated to training nurses and midwives. The nursing and midwifery diploma required completion of a four-year program, which she finished in 1989. 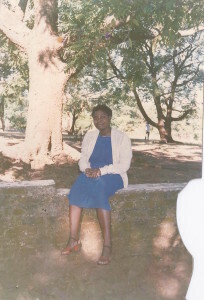 She then worked with the government in the Mangochi District, mainly in the maternal and child health section. She went back to the university to get her BSc in nursing, with a specialty in community health. “Improving the livelihoods of the rural has been my passion,” she says. 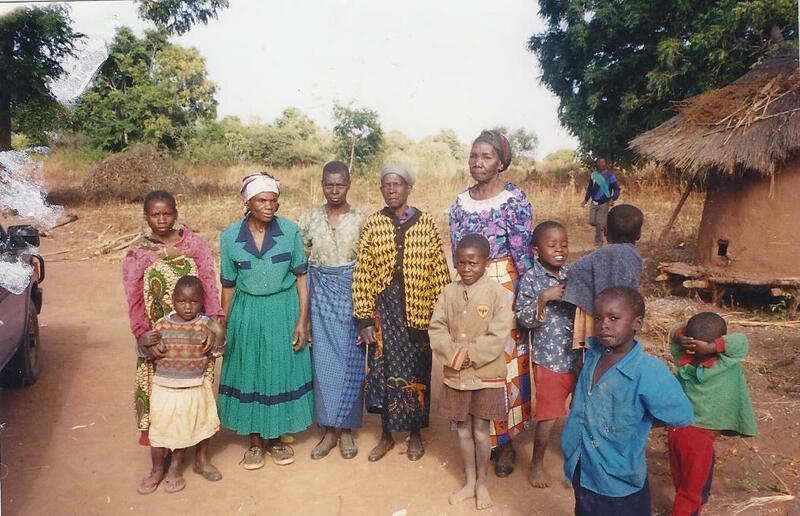 Inspired by the need for improved health care in rural communities, Beatrice worked with key international NGOs at the operational as well as managerial level to improve rural health, including safe drinking water. The fervor she developed as a nurse led her to work with NGOs that dealt with rural health programs. Because there was no Master’s program for community health in Malawi, Beatrice moved to the UK to earn an MSc in project management and later a PhD with a focus on examining factors that influence maintenance of boreholes in a rural context. In July 2015, Dr. Beatrice Chisenga and Dr. Greg Bixler just happened to be at the same conference at Loughborough University in England, the 38th International Water, Engineering and Development Center Conference. After hearing Beatrice present her PhD research on how the government and NGOs can improve water supply in rural communities, Greg introduced himself and shared with her the mission of Design Outreach. Their initial connection led to a series of Skype conversations and the development of “a high level of trust,” Bixler says. As a result of those conversations, Beatrice became Design Outreach’s African Field Director and is now serving as liaison between Design Outreach and the local Malawi government in a joint effort to provide improved water access for rural communities—specifically, the LifePump in Malawi and beyond. Designed to reach depths of up to 325 feet, more than twice that of other hand pumps, the LifePump is a robust, ergonomic hand pump that makes pumping water efficient, reliable and easy for everyone—from young children to pregnant women to the elderly. Based on a progressive cavity design, the LifePump produces water almost immediately and is still working reliably more than two years after installation in some communities. Because some traditional hand pumps are known to fail after as little as six months of continuous use, the LifePumps’s durability is crucial. While the pump’s resilience is critical for long-term impact, the Design Outreach team also understands the importance of providing a sustainable solution through proper maintenance training and a readily available supply chain. Dr. Beatrice Chisenga’s childhood is proof that a long-lasting solution is needed to prevent debilitating illness, provide opportunities for children to attend school and begin to break the cycle of poverty, particularly in the rural communities that are so close to her heart. “Providing a sustainable LifePump is actually a great thing for the rural areas, improving their lives,” she says. “The pump is more durable and has a greater lifespan than ordinary pumps, and the fact that they have come up with a pump that can retrieve water up to 100 meters (325 feet) is a great asset.” Beatrice believes she has the knowledge and skills to help the Lifepump project excel in different countries by negotiating for sustainable project management principles, which encompass a bottom-up community-based management approach as proposed by UNDP. Beatrice says she has always been motivated to use her knowledge of improving world water access to change the story for countless people in her native land. Now, without question, she is. Perhaps now, because of Beatrice’s story and the work of Design Outreach, children in rural Malawi will be influenced to have the energy and health necessary to dream big, to study hard, and to live a life drastically different than those who went before them. Perhaps now they can find their ticket to a better life through a sustainable supply of safe drinking water provided by innovative, durable technology such as the LifePump. Very inspiring story. Beatrice is a great lady to have remembered her community and started helping them. Beatrice can you replicate the same in Kenya? We also need the the pump in some rural parts of Kenya. Congrats Beatrice and keep it up. Amazing story. If we were all to look into our past and turn the negativity into something positive in order to better the lives of others, the world would be a more beautiful place to live in. Well done, Beatrice.I’m very proud of you. A story well told and a passion that saves lives. God bless you! 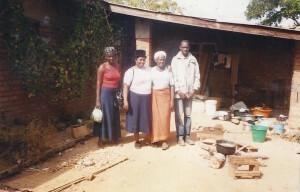 was the power to transform herself, her village, her boma and her mother Malawi. Now, looking back, it is very interesting that the girl who used to fetch water at the edge of the village is now repeating it between the Indian Ocean and the Atlantic Ocean. It seems more than likely that the girl power and resolve can move hurdles out of anybody’s way if one so chooses. This is walking the talk and living by example. Its such an interest story, i am proud of you Beatrice and i cant wait to see you again in Malawi. So much touching the life story of Beatrice and true picture of how life is in Africa. I have known her to be aGod fearing woman and a hard working woman. My pray for her is that God keep Beatrice to help Africa. Beatrice biography is like a story but is a reality. It is very touching and it reminds me of what many African women scholars of Beatrice and my age went through. Beatrice is coming from Malawi and I come from Tanzania and I am few years older than her. What she went through is almost similar to me. Water is still a big problem today in rural areas as used to be in the 1960s and 1970s. I remember when I was in Standard seven in 1971 we used to get up around 4.00 am and rush to collect some water from a dam which was about 2 kilometers from our home. We were going there early in the morning assuming that by then the water is clean and safe for drinking and cooking purposes. Beatrice I just want to congratulate you and assure you that God indeed guided you through that path so that you build a testimony and be able to help change the life of His people in rural areas who still suffer from water borne diseases and die untimely deaths. I personally received Jesus as my Savior in 1986 and He has raised me to this position today. Beatrice continue Serving Jesus and He will raise you through that project of Design Outreach and the Life Pump technology to be able to reach all wings of Africa. May God continue to use you Greg and your organization for His glory. This is quite an inspiring & moving feat you have done. So proud and happy for you as a fellow Malawian, woman and family member. That’s my aunt by the way….woman power ! Wow, very true and touching. Congratulations Beatrice for the wonderful work. Wish you all the success with the outreach pump project. This is indeed an amazing story, but it is a typical illustration of what the grace of God can do. I Corinthians 15:10 rightly states that “But by the grace of God I am what I am : and his grace which was bestowed upon me was not in vain; but I labored more abundantly than they all: yet not I, but the grace of God which was with me. Very humble lady from humble beginnings achieving great things. With hard work determination and God on your side things such as these are possible. Well done my friend. Well done Beatrice, your Faith , hard work and determination inspires me everyday. May you continue to put God first in all you do.Congratulations and continue to aim high. Congratulations Beatrice.U are real a leader and true hero.Thanks for the help u are giving to people in Malawi. I did cry when i read your story. So proud of your achievements. An amazing and very inspiring Life story. We are proud of you and greatful to the Lord that He brought you in our path so that we could know you. You are and have been a great blessing. God is indeed faithful we know just a bit of what you have gone through to be here today. May you continue to inspire those who come your way. We love you! This is so inspiring Beatrice! Congratulations and continue moving forward. I have met Dr Chisenga on her tour of Malawi. I can only now understand her zeal to better the lives of rural communities coming from her personal experience. With vast knowledge in her field she had that empathy to listen and engage with me on several occassions. Great to learn more about Dr. Beatrice and her passion. Good luck in the drive to ensuring safe access for all. Great you are doing a good job, l am very impressed and this is very inspiring. May God Bless and Keep you safe to continue the good work. Very insipiring. The fear of God is the beginning of wisdom. Cingratulatins. May God bless you richly.